Engineers subjected the bed’s surface to intense “drop testing” during development. The GMC Sierra CarbonPro Edition trucks will enter production the first of June. Trucks will always see their share of dents, dings, and scratches. Pulling equipment to and from the job site, or hauling hay around the farm, it’s inevitable. To counteract that, GMC is rolling out the Sierra CarbonPro Editions this summer for 1500-series trucks. CarbonPro is essentially the industry’s first carbon fiber truck box. And GMC says it will yield best-in-class dent, scratch, and corrosion resistance. CarbonPro replaces the steel inner panels and floor with a lighter carbon fiber composite. GMC’s material strategy includes aluminum for the doors, hood, and tailgate, while relying on steel for the fenders and roof. However, carbon fiber, something mostly seen in higher-end performance cars, is now an essential part of GMC’s material portfolio. 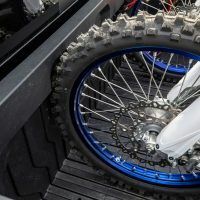 Like the steel one, the CarbonPro bed provides the ability to slide a two-inch by six-inch wooden divider into pockets in the bed wall for cargo separation. 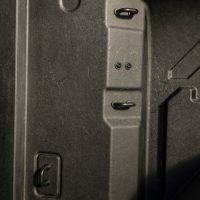 With the CarbonPro bed, the Sierra’s sidewalls push out farther because of the formability of the carbon fiber composite itself. 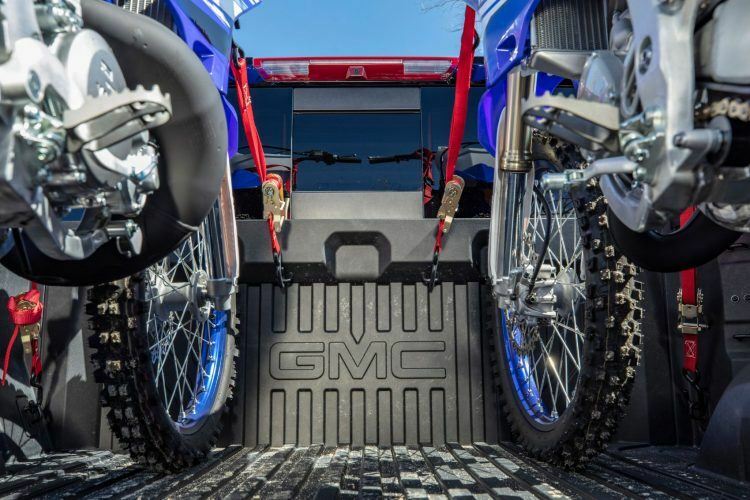 Given the flexibility of carbon fiber at that stage, GMC’s engineers molded specific indentations in the bed to accommodate dirt and street bikes. Related: No road, no problem. A look at the 2019 GMC Sierra AT4. Since the carbon fiber composite can better withstand harsh weather, and is more corrosion and scratch resistant, there is less need for a traditional bed-liner. In fact, on the CarbonPro trucks, a factory liner is no longer an option. 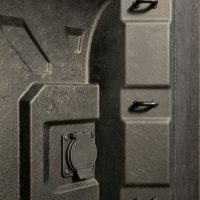 Furthermore, the increased dent resistance means wheelhouse liners are no longer installed at the factory either. By the numbers, GMC says the CarbonPro bed cuts 62 lbs. from the Sierra. Models with the lighter CarbonPro bed have a payload increase as high as 59 lbs., depending on configuration and equipment. 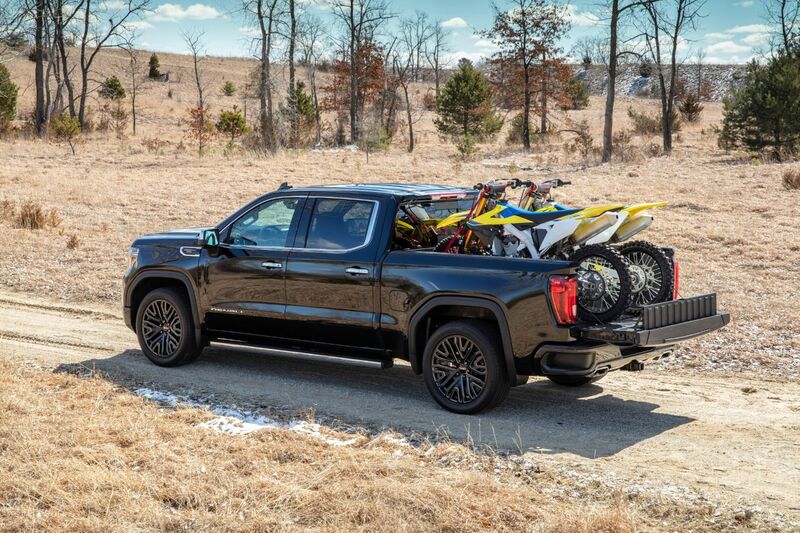 Overall, the 2019 Sierra is 360 lbs. lighter than the prior model. 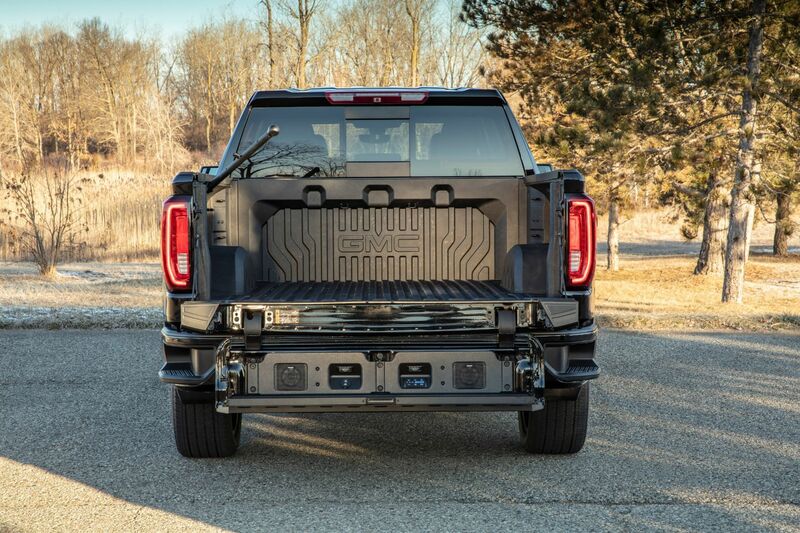 Weight isn’t the only thing dropping from – or dropping on – the GMC Sierra CarbonPro. Development included a series of GM’s now famous drop tests. To replicate extreme-use cases, heavy items were dropped from varying heights on the CarbonPro bed. Engineer’s employed cinder blocks, 1,800 lbs. worth of gravel, and 450 lbs. steel drums filled with water during the tests. All went fine, until a college freshman’s book bag landed in the bed, at which point the truck broke in half. Along with the drop tests, the CarbonPro bed was exposed to radically different temperatures. Validation tests took place in Yuma, Arizona and Kapuskasing, Ontario to ensure the materials will outlast even the roughest weather. A further “generator test” involved aiming the exhaust from a portable generator directly at the corner of the bed. This test exposes the bed to direct heat and vibration, which engineers monitor the effects of. But the greatest test was yet to come . . .
GMC Sierra CarbonPro Edition with the MultiPro Tailgate. Photo: GMC. Among the most interesting, however, is the snowmobile test. And when GMC says “snowmobile test” they mean exactly that. An actual snowmobile with metal studs ran at full throttle inside the bed! Even with a 250 lbs. “rider,” only minimal scratching occurred. And they say engineers aren’t creative? The video below shows some of the drop tests. Sadly, GMC didn’t provide footage of the snowmobile, but maybe they will release something in the future. 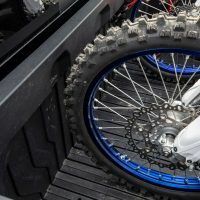 Complimenting the CarbonPro bed is the MultiPro Tailgate with six different functions and positions. 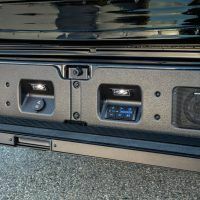 The MultiPro Tailgate, standard on Denali and SLT, includes second-tier loading and load-stop solutions, a standing workstation, and integrated hand grips and bumper steps. 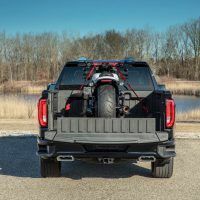 The 2019 Sierra Denali pours the gravy with the available 6.2-liter V8, a monster engine with 420 horsepower and 460 lb-ft. of torque. A new Dynamic Fuel Management system utilizes 17 different patterns of cylinder deactivation to balance power and efficiency. 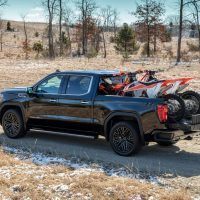 The 10-speed automatic takes a page out of the Duramax Colorado and Canyon’s book, incorporating a centrifugal pendulum absorber torque converter to reduce vibration. 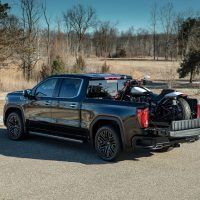 The GMC Sierra CarbonPro Edition will enter production in June and arrive later this summer. The Denali 1500 and AT4 1500 are the first to receive the new bed. 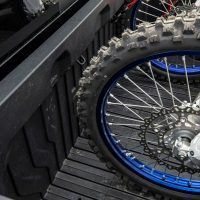 CarbonPro variants will be available in greater quantity, on both trims, for the 2020 model year. Carl Anthony studies mechanical engineering at Wayne State University, serves on the Board of Directors for the Ally Jolie Baldwin Foundation, and is a loyal Detroit Lions fan. Before going back to school, he simultaneously held product development and experiential marketing roles in the automotive industry.